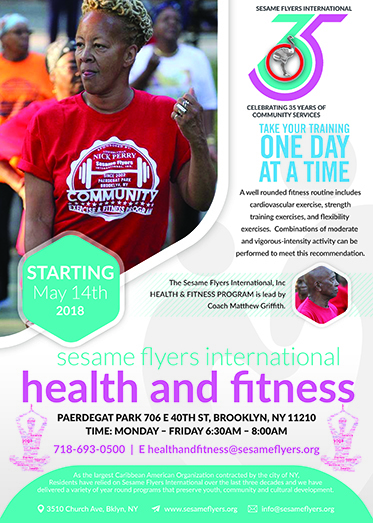 On Sunday April 29th Sesame Flyers kicked off our 35th Anniversary celebration! We had our annual service at St. Augustine Episcopal Church followed by a reception at the Main office. We were awarded a proclamation by the City for our 35 year legacy of serving children and families in Brooklyn presented by Ms. Rodneyse Bichotte, New York State Assembly 42nd Assembly District. We are thankful to our founding members (featured in the photo) for their ongoing commitment to the Sesame Flyers family and community at large. Their often tireless and unrelenting efforts has served as a strong and lasting foundation for our agency. It’s May everyone! Spring has truly sprung in our community and here at Sesame Flyers. First, I have to give a huge Happy 35th Anniversary to Sesame Flyers. I am so proud to lead a organization with such an enduring and rich legacy. 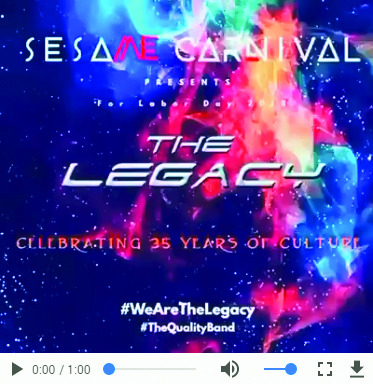 I am even more honored to lead us into expanding our legacy in the years to come. Like the trees and flowers that are now in full bloom the programs and activities that we run are beginning to swing into full force. Our youth councils and parents council are working hard in the community to bring activities that foster togetherness and joy to all who come in contact. 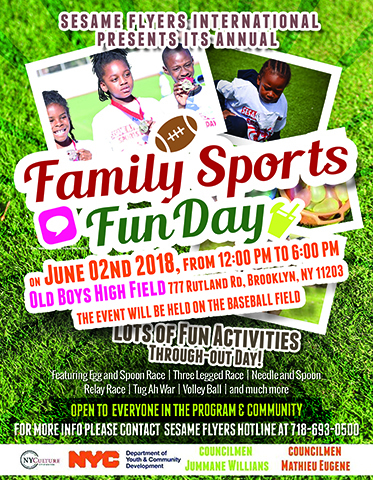 You will notice in this edition of the newsletter there are more and more robust activities for the entire family and community to engage in. From enjoying the sultry stylings of jazz or poetry, strutting academic prowess in a spelling be or getting ready to participate in Labor Day we truly have something you can enjoy to feel love and connection. I look forward to enjoying the spring with you. We have a lot in store. Mrs. Bruno began working at Sesame Flyers in September of 1993 when we started our work at the Winthrop Beacon. 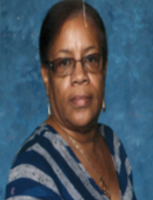 She is a major part of the Legacy that is Sesame Flyers’ afterschool homework assistance program. 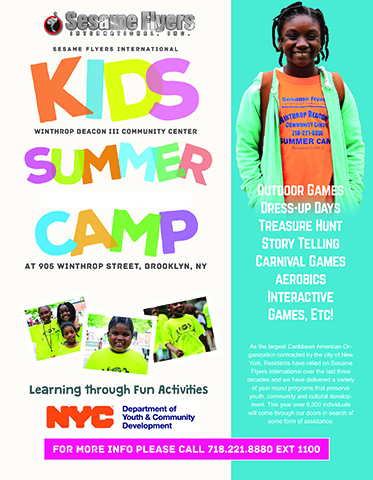 She has been working at the Sesame Flyers Winthrop Beacon as a Head Instructor, where her experience and sincere caring for the children has prevailed. Her commitment, dedication and perseverance exemplify our legacy. Mrs. Bruno hails from the beautiful Caribbean island of Haiti. She has two sons, Edward and Reginald. A few of Mrs. Bruno’s favorite things consist of seafood, salsa dancing and oldies & blues music. Mrs. Bruno’s favorite holiday is Christmas and her favorite season is summer. Mrs. Bruno is an integral part of the Winthrop Beacon. The children look forward to seeing her very afternoon upon their arrival. We are grateful to have Mrs. Bruno on our team! Hey Guys it’s that time! Just a few months shy of graduation, prom and senior trip!!! You've worked really hard passing those ELA and Math exams, many of you opted to take the specialized HS exam, and you've also spent hours researching and preparing your HS applications but have you ever given some thought to how to make the most of your time once you start? Probably not. So, as a proud Parent of a college sophomore and soon to be middle school senior I'd like to share my list of 4 tips for High School success. This may sound obvious, but really half of life is just showing up. So, attend your orientation (even if it robs you of your summer) once school starts attend ALL your classes (even the early ones), there is lots of time to hang out and catch up with friends during the hallways while classes are in session is NOT the time. Be present and in the moment for as much as you can. The general rule of thumb is two hours of study per every hour of lecture. Pick a favorite productive spot at home, or the library and schedule time each week to spend there. Take advantage of any extra assistance, or tutoring offered during or after school that will help you improve upon your areas of struggle. Gym is a requirement in High School but often times it isn’t enough to keep you fit! Take advantage of extra-curricular activities your school may offer (swimming, track, basketball, volleyball, football, step team etc.) Being actively involved in will help you feel like a part of something bigger, and that in turn will help you stay engaged and graduate on time. It’s also a plus to have on your future resumes and a fun and positive way to socialize. During exams it is a great way to relieve stress! Don't forget to eat healthy too! Nothing beatts McDonalds fries or their 1$ 2$ 3$ menu but it is not the healthiest option and constant consumption can have negative effects long term. Most importantly try to remember your brain won't function as well on all that junk. Seek out healthier alternatives. Build relationships with those around you. 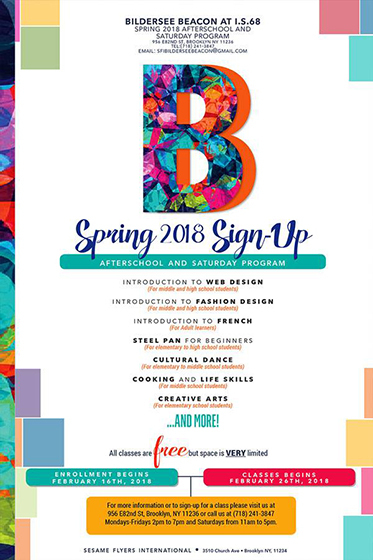 Your teachers, coaches, classmates, and new friends will all be beneficial in helping discover opportunities both personally and professionally, now and for years to come. And don't forget that your teachers will have office hours, too. Take time to introduce yourself and ask for help if needed. This lets them know you are taking their class seriously. I sincerely hope you take some time to think about how you will use these 4 tips next year when you start High School. Best of luck!!! Over the Spring Break Bildersee hosted an art contest, a Spelling Bee and a Math Bee for Bildersee students. The events were a success with 100% student engagement. Contestants won a variety of prizes ranging from art supplies, to candy, to cash rewards. The objectives of these contests were to explore activities that will increase motivation, monitor how students regulate behavior in competitive environments, and measure how students solve complex or challenging problems. The competitions were such a success, Bildersee will host the competitions in June as a part of the program’s year-end showcase. On April 6th the Clubhouse was packed with standing room only for poet lovers and poets alike at Sesame Flyers first Fearless Friday Poetry Competition. This competition featured 11 amazing poets. The next competition is well underway and is schedule for the Summer time. Stay tuned. The top 3 winners are featured in the pictured. 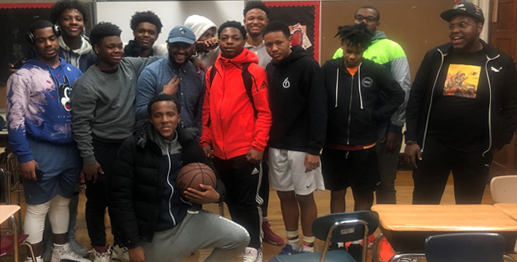 On April 12th the Winthrop Beacon Youth Council had a special young men only workshop with Film Maker Shakim Coleman with assistance from staff Dalton Miller-Harper. They boys discussed the short film Two Way Street. The film is an exploration about the perils and often deadly pitfalls of street life. This open discussion was very useful and informative for the boys. They were very engaged and asked thought provoking questions in seeking alternatives to street life. The speaker comes from the street life just as these boys do and is out on a mission to help our youth. After losing several close friends to murder and jail he is committed to bringing awareness to alternatives to street life and making an honest living given the talents these boys already have or can develop. His goal is that our youth stay productive. We are looking forward to continuing the conversation and being a part of creating a new legacy for our young men in the community. 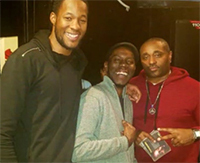 On Sunday April 8th the sweet and sultry musical styling of renowned Frankie McIntosh and His Circle of Friends filled the clubhouse. Frankie McIntosh has been playing music for over 30 years and has been a friend of Sesame for over a decade. Garvin Blake, renowned steel pan player was also playing that night. 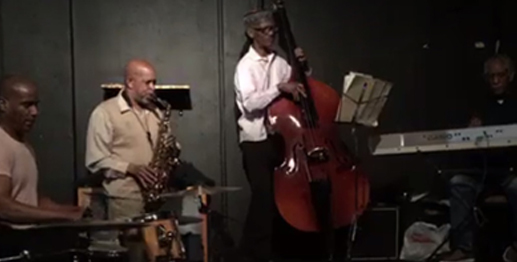 Garvin has been a friend of Sesame since our inception and continues to come back to bring Jazz to Church Avenue. Longtime friends and new friends of Sesame came to enjoy the night away. The sets were truly amazing and memorable. It is our honor and privilege to bring events like these to our beloved community. Do your part to give a young person the experience of a lifetime. Entrepreneurs, small and large have an opportunity to show youth ages 14-24 how to establish good work habits and learn what it means to run a business. Hosting a young person this summer for six weeks from July 5 to August 10 from 20-25 hours per week can make a life changing impact. 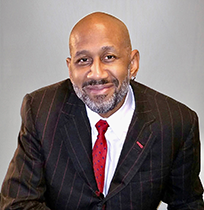 A recent Wharton UPenn study of the New York City Summer Youth Employment Program (SYEP) program found that the program has a profound influence on the youth who participate as the rates of incarceration and homicide are less for youth who are selected by the lottery to participate in the program than for those who are not selected. Participants who are randomly selected by a lottery are matched with a worksite for the summer in a variety of industries from health care to finance. 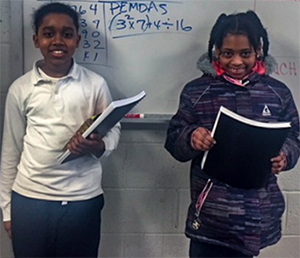 The SYEP program is a success because local businesses have made the effort of connecting our young people to the benefits of a good work ethic. Last summer over $126.9 million dollars in city, state, federal, and private funds were allocated to this vital citywide program. This dollar amount was met by over 147,000 youth who submitted applications to participate, while funding allowed 69,716 youth to be enrolled in the program, over 40 per cent of whom were Brooklyn residents and 40 per cent were of African descent. 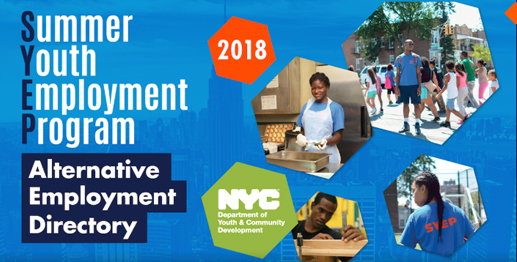 12,064 local businesses large and small, including those in the private sector, throughout New York City provided our youth an opportunity to experience the rigors and rewards of employment. Participants earn NYS minimum wage and learn time management, fiscal responsibility and how to contribute as a member of an effective team. 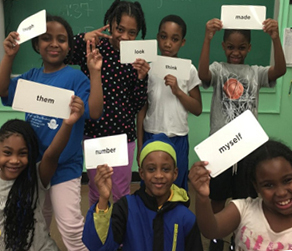 SYEP Participants spend their summer putting into practice the prized 21st century skill set. 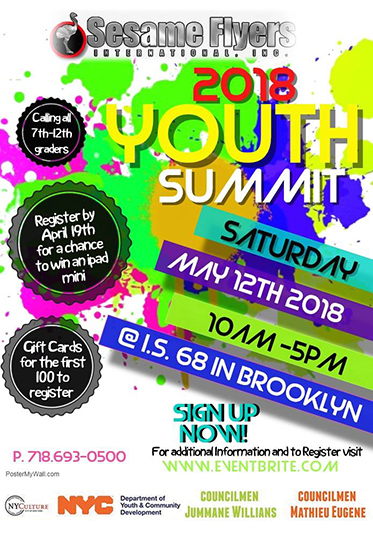 Sponsored by the New York City Department of Youth and Community Development, the SYEP program has implemented web based application and payroll systems for the participants. Participants are issued debit cards and those who have bank accounts are paid through direct deposit. In addition to developing job skills through work experience, part of each summer’s work experience includes an Educational Component that investigates the areas of Work Readiness, Financial Literacy, Higher Education Exploration, Career Exploration, and Health Education. Among the concepts discovered by SYEP participants, is the range of options available to them after high school, how to think critically about managing money, and how to incorporate elements of a healthy lifestyle that can prevent the diseases that run rampant in our community such as diabetes and high blood pressure. If you own a local business, you can provide a work experience to a young person that will last a lifetime. Worksite applications are available now, get started with the online pre app HERE. Contact development@sesameflyers.com for a hardcopy application. The worksite application deadline is May 12, 2018. 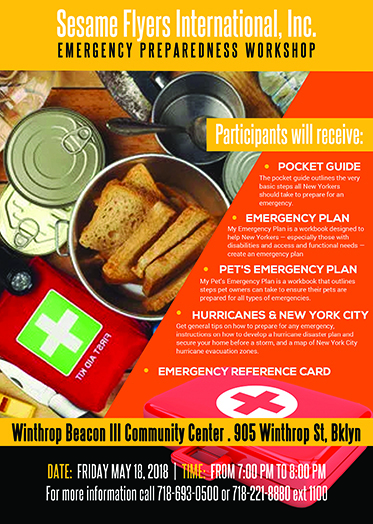 For more information, CLICK ON THE DYCD LINK. information contact Sesame Flyers International. WEB DESIGN AND DEVELOPMENT BY SESAME FLYERS INTERNATIONAL TECHNOLOGY DEPARTMENT.